Eden delivers a wide range of coffee and coffee systems to give your employees and customers the perfect coffee every time. It is a key concern for us to offer you the best possible coffee experience. That’s why Eden partners with leading coffee and coffee machine suppliers to offer a wide range of options to meet your workplace needs. 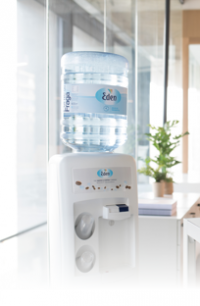 Whether you drink a few espressos in your home office or serve hundreds of clients in a bank every day, Eden has the solution. A combination of high-quality coffee, the best machines and Eden’s service know-how will ensure a unique moment of pleasure cup after cup. Eden Choice CAPSULES gives the possibility to enjoy different varieties of espresso along the day. The capsule guarantees complete freshness of the coffee and delivers the coffee in an ideal dosage cup after cup. With our large range of capsules blends, everyone will find the espresso he likes. Our range of solutions allows you to experience the unique pleasure of a perfect espresso every day in your office environment. Eden Fresh BEANS is the solution for having fresh coffee from whole roasted beans. It gives you an espresso with the best taste and aroma. The selection of choices available allows addressing every taste and every desire for your unique moment of indulgence. Eden range of espresso machines offers the right solution for all sizes of offices. Eden Classic GROUND allows preparing coffee in the traditional brewed way. Give the possibility to make lighter coffee for long cups.Eden has selected a variety of coffee blends to meet every taste. Our range of solutions allows you to experience the unique pleasure of a perfect coffee every day in your office environment. Eden Convenience SOLUBLE proposes different machines for making your hot beverages quickly. It gives you the possibility to make easily long cup of coffee. Our range of solutions allows you to experience the unique pleasure of a perfect coffee every day in your office environment.